I’ve finally made a start on my goldstream peacoat. It’s going to be quite a long process so I’m breaking it down over the summer, to hopefully get it finished in time for autumn/ winter. This coat is on my #makenine2017 list and part of my #MMMAY17 pledge is to make a start on it. I took the main measurements and matched up to a medium on the shoulders and a small the rest of the way down. As I was at the smallest end of the medium-range on the shoulders, I checked the finished measurements and thought I’d try and get away without grading in between sizes, so I cut out a straight S.
I very rarely make a muslin or toile… I’ll compare pattern pieces to patterns I know fit me well, but this is one of the first proper (i.e. No intention of wearing it) toiles I’ve ever done. Of course, without pockets or lining and using the basting stitch, the shell came together very quickly – It is very misleading in one sense, but it’s a great opportunity to ‘get to know’ the pattern pieces. For instance, I know I need to pay attention around the collar, I got some rippling on one side that didn’t appear in the other. Obviously I’ll take my time with the real thing, but it’s good to know. It’s a close fit but a comfortable fit. This would be great for a mac style coat, something light, but I want this to be a warm coat. I tried it on with a tshirt, shirt and jumper underneath and it was starting to pull a little… once the coat is interlined and lined I may need to size-up if I want to fit anything other than a vest on underneath it! I used the slimming darts on the front pieces, so the first thing I’ll do is unpick those and see if I prefer it. I also need to consider if I should simply widen the shoulder a little bit, or do I need a full size up…? 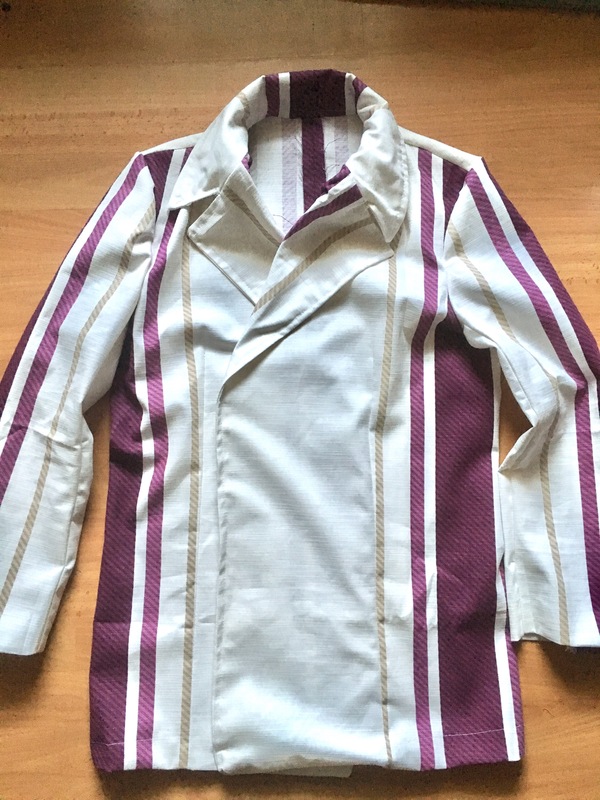 I’m happy with the length of the sleeves and body… also I’m considering vents in the back… is this appropriate for this type of coat? … I’ll have to do some research. Then I asked Instagram and the consensus was for double pockets. I suppose I knew it should be all along… but I was being lazy. … and I’ve decided to use it for the coat lining. 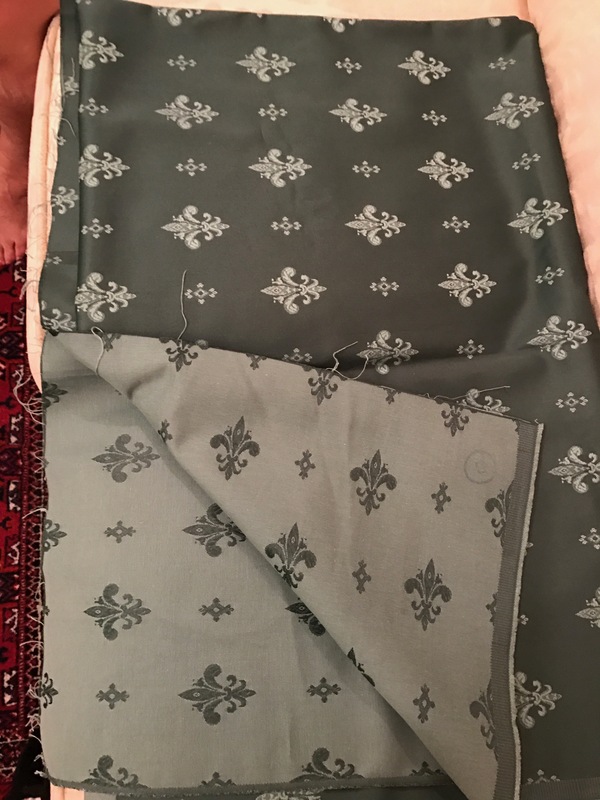 Free fabric… lucky me! So that’s phase one. More questions than answers, but I’ve got something to try on already! And I can proudly say that I’ve completed my #mmmay17 challenge! Add 1cm to each shoulder. Add tabs & epaulets to the toile. Possibly scrap the tabs too. Lovely lining fabric ! What a great start to your project. 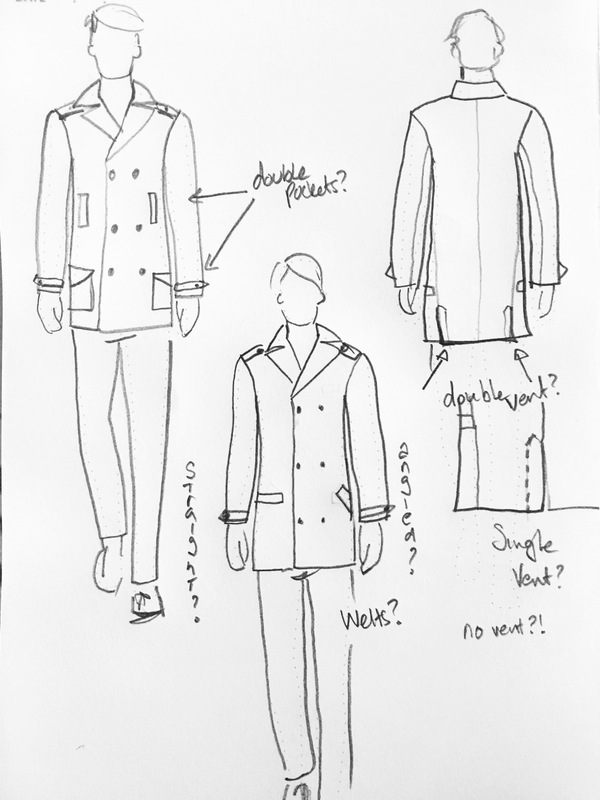 Oh – also Mainely Dad over at Japanese Pattern Challenge made a gorgeous peacoat – he is a wonder. I made the Goldstream for my husband, it was a year long project and I got a tag that says “This Took Forever” I lined the hood with this lush black and blue faux fur – it’s Chicago. Lined the pockets with flannel. Definitely practice it, fit it on the toile first. My husband is a non-standard size, so I was able to nail it. I used the best – Beautiful wool melton, leather buttons and Japanese buttonhole twist. I followed the tailor-along on the Thread Theory website. Good luck and I will follow – it’s very satisfying to create something so beautiful! 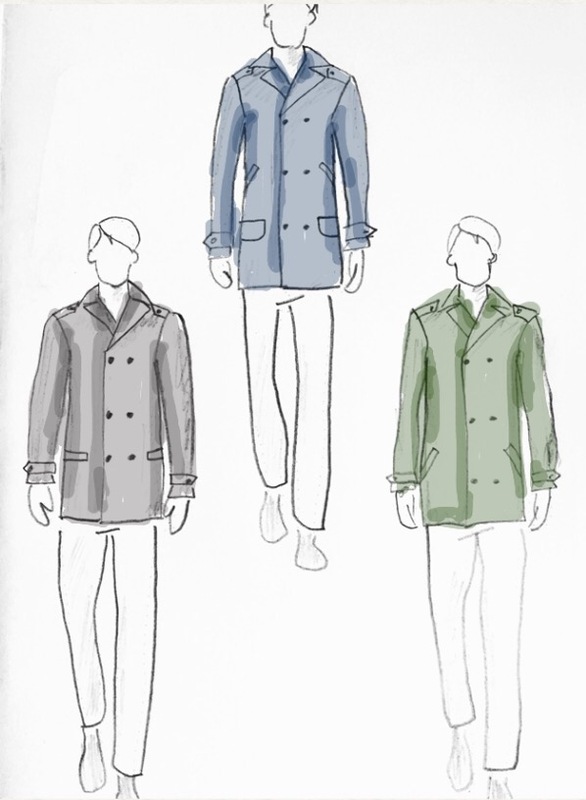 Also…Peter Lapin on Male Pattern Boldness also did a pea coat sewalong. I used all the help I could scrounge! Yep…I came back to sewing after a 2 decade hiatus with inspiration of a freshman boy (now designer) in my biology class. MPB was just starting, Peter held my hand and threw in humor-a must! Can’t wait to see your coat! Answer Who gives a stuff if its ‘appropriate’ or not!! Its YOUR coat YOUR way and if no one else likes it well that’s just tough! 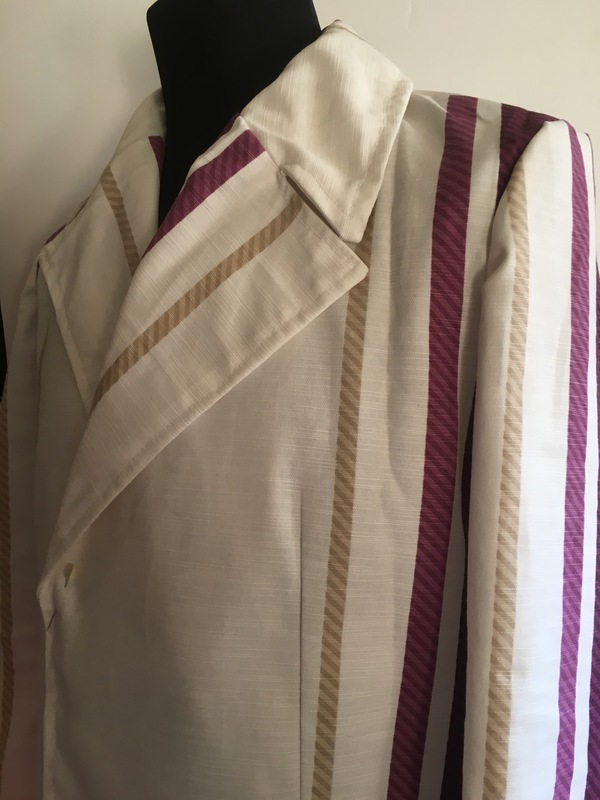 And regarding back vents – who cares if it’s proper for the style of coat or not? If it is well made, feels good and improves your enjoyment of the coat I wouldn’t hesitate. If anyone should enquire about it/them, it’s an original design feature. This is how improvements are made. Creative people continously make things better. Plus, being able to sit down without stretching the hem out of shape is good, right? And, personally I think two looks better than one, at least after some wear. Thank you! Yes I’m actually thinking faux fur to line the top pockets!